Radclyffe Hall was born in 1880 in Bournemouth in a house inappropriately named 'Sunny Lawn'. Her mother drank gin in an attempt to terminate the pregnancy, and her father fled the family home. At the mercy of a violent mother and sexually abusive stepfather, her life changed when at the age of eighteen she inherited her father's estate of £100,000. She was free to travel, pursue women and write - most notably The Well of Loneliness, her famous novel about 'congenital inverts', which was declared 'inherently obscene' by the Home Secretary and banned. 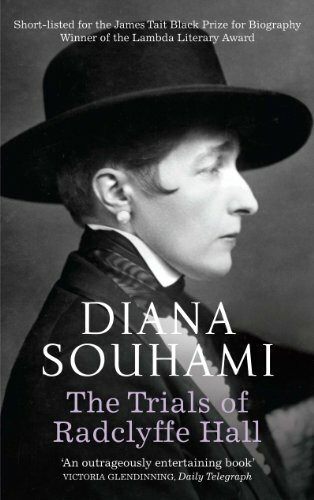 In this brilliantly written, witty and satirical biography Diana Souhami brings a fresh and irreverent eye to the life of this intriguing and troubled woman.